Cities are the new battleground of our increasingly urban world. From the slums of the global South to the wealthy financial centers of the West, Cities Under Siege traces the spread of political violence through the sites, spaces, infrastructure and symbols of the world’s rapidly expanding metropolitan areas. Stephen Graham is Professor of Cities and Society at Newcastle University. He is the author or editor of "Telecommunications and the City "and "Splintering Urbanism "(both with Simon Marvin)," Cities, War and Terrorism" and "Disrupted Cities: When Infrastructures Fail." 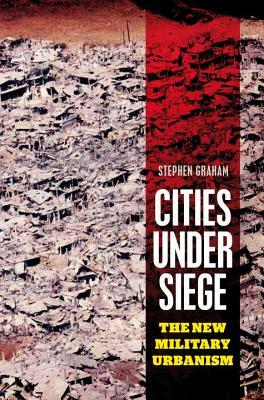 His most recent book is "Cities Under Siege: The New Military Urbanism. "